Seller will consider offers between $450,000 and $479,00. Welcome to 4S Ranch! Ground floor, single story unit. Mixture of bamboo and tile flooring with plantation shutters create a luxurious feel. Kitchen with granite counters looks over spacious living room opening onto a covered patio. Location does not get a lot of foot traffic yet is located a short walk to shopping, restaurants, parks and schools. Directions:Rancho Bernardo road to Ralphs Ranch Road then go right, to Bridgeport, then go right, then left then right at the end. SchoolsClick map icons below to view information for schools near 16913 Laurel Hill Lane San Diego, CA 92127. Home for sale at 16913 Laurel Hill Lane San Diego, CA 92127. Description: The property at 16913 Laurel Hill Lane San Diego, CA 92127 in the 4s Ranch subdivision with the MLS# 190007145 is currently listed for $470,000 and has been on the market for 78 days. 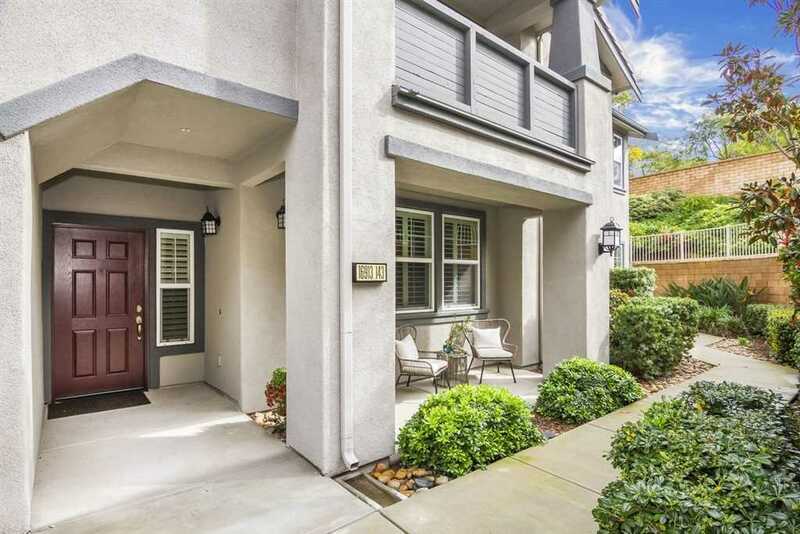 You are viewing the Sandicor listing details of the home for sale at 16913 Laurel Hill Lane San Diego, CA 92127, which features 2 bedrooms and 2 bathrooms, and 1068 sq.ft. of living area.